Meet the Q Grant, Fossil's classic hybrid that looks like a watch, but acts like a smartwatch. Powered by the Fossil Q App, Fossil Q Hybrid Smartwatches are compatible with phones running Android™ OS 4.4+ or iPhone 5/iOS 8.2+. 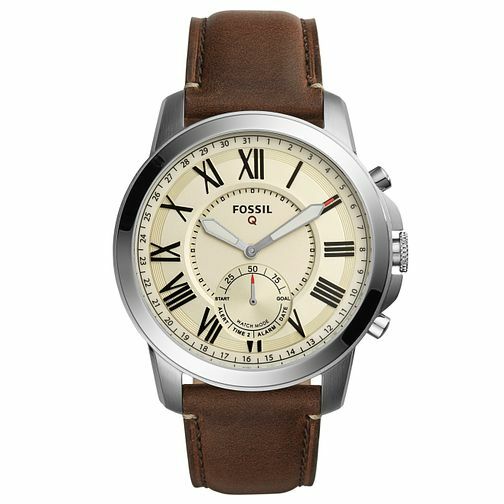 Fossil creates high-quality watches that are creatively rooted in authentic vintage and classic design.